Burr, Terra-cottas from Myrina (MFA), no. 065. 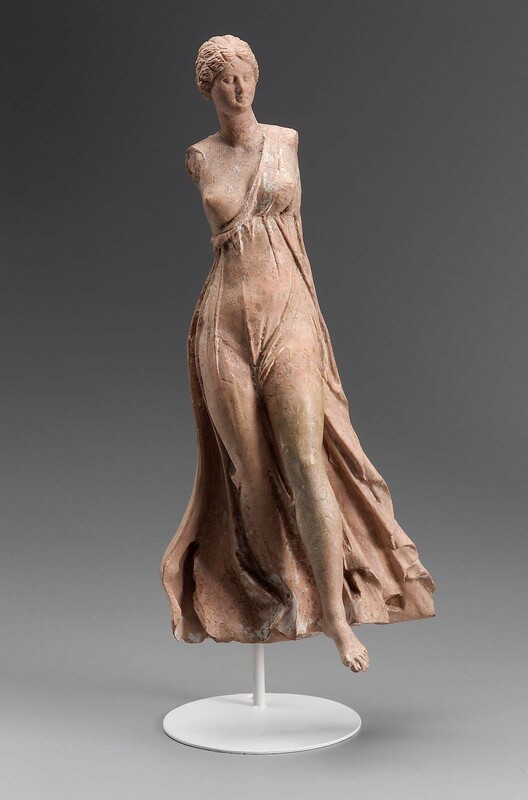 Statuette of flying Nike (Victory). She is looking to the right. 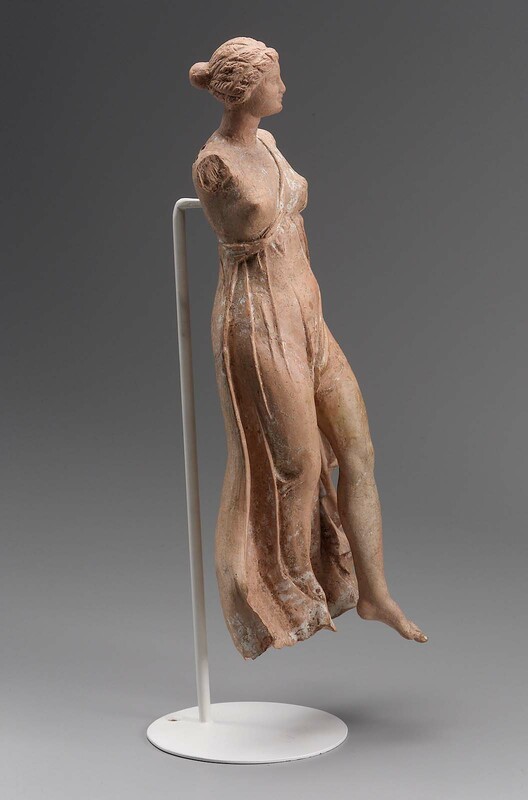 She is wearing a transparent high-belted, sleeveless chiton, which leaves her right breast and left leg uncovered. She has her hair in flat waves ,with a double fillet. The statuette has two wing-holes and a small hang-hole. Missing: wings, both arms, right foot, part of the right side of front drapery. Traces of reddish-brown on hair.